A series of most impressive performances, the host nation dominated proceedings in the Junior Girls’ Singles event at the 2017 China Junior and Cadet Open in Taicang; at the close of play on the penultimate day of action, Saturday 24th June, they had secured all four semi-final places and had reserved those places in style. Shi Xunyao, the reigning World Junior champion and Qian Tianyi, the defending champion, alongside Wang Tianyi and Liu Weishan endorsed the fact that they are names to etch in the memory. The European challenge in the guise of Marharyta Baltushite, Nadezhda Bogdanova and Daria Trigolos was thwarted. Daria Trigolos experienced a first round defeat at the hands of China’s Kuai Man (11-7, 7-11, 11-8, 19-21, 21-10, 15-13); whilst for Marharyta Baltushite and Nadezhda Bogdanova, it was a quarter-final exit. After beating Korea’s Kim Dahee (11-1, 11-5, 11-7, 14-12), Marharyta Baltushite experienced defeat at the hands of Wang Tianyi (12-10, 11-1, 11-8, 11-3); similarly, following success against China’s Ding Zige (11-5, 11-3, 12-14, 11-4, 13-15, 11-9), Nadezhda Bogdanova departed proceedings at the hands of Liu Weishan (11-5, 12-10, 11-7, 11-9). At the semi-final stage Liu Weishan meets Wang Tianyi; in the opposite half of the draw Shi Xunyao confronts Qian Tianyi. In the round of the last eight, Shi Xunyao ended the hopes of Kuai Man (11-7, 11-5, 14-12, 11-6); Qian Tianyi overcame colleague Huang Yingqi (11-7, 11-7, 12-10, 11-9). Similarly, in the Cadet Girls’ Singles event, the host nation was totally dominant; the only player not from China to reach the last eight being Singapore’s Zhou Jingyi. However, for the Singaporean there was to be no further progress, she was beaten in three straight games by Huang Yingqi (11-3, 11-3, 11-5). In the penultimate round Huang Yingqi meets Xu Jiaru, Kuai Man opposes Ding Zige. 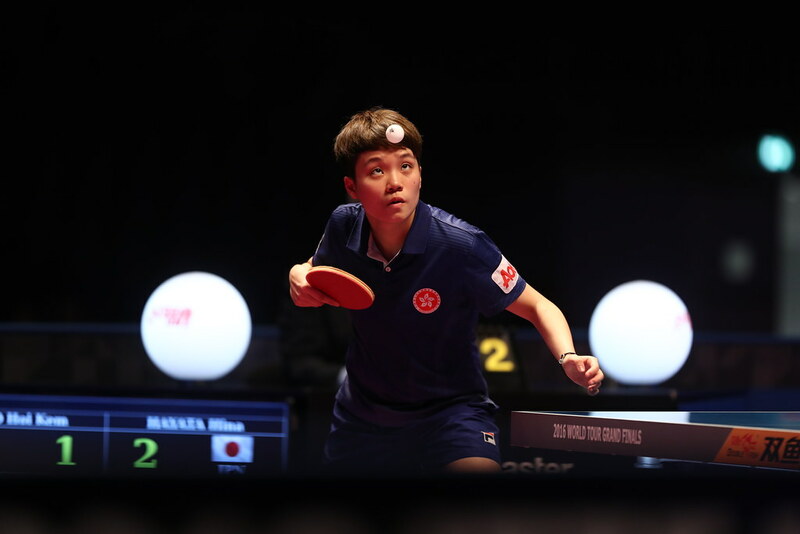 Titles destined for the host nation, it is only in the Hopes Girls’ Singles event that such a situation does not exists; in the final Zhang Jinglei faces Korea’s Kim Nayeong. Play in Taicang concludes on Sunday 25th June.